The nails are exfoliated be a condition caused primarily by internal disorder or due to vitamin and mineral deficiencies and consists of broken nails. I think each of us has happened at least once before I peel his nails. This happened when nails were dehydrated and have modified the composition. Dehydration occurs because of cleaning products we use at home because they contain harmful chemicals. 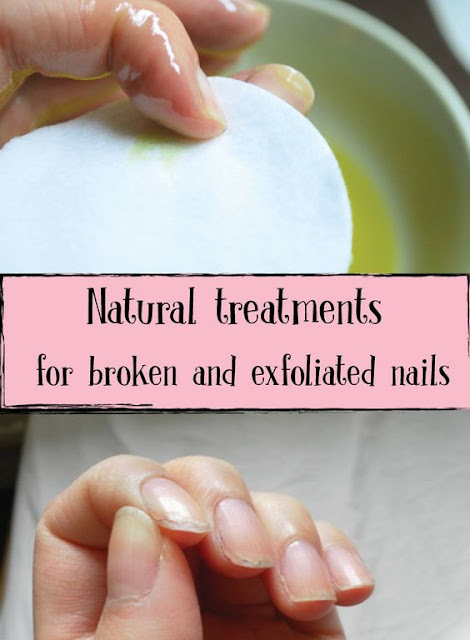 Brittle nails can indicate a lack of calcium, magnesium or vitamins in the body. Therefore, it would be good to have a proper diet and you make up a healthy diet. Consume foods rich in iron, calcium and magnesium (spinach, eggs, whole grains, green vegetables, fish) and foods rich in vitamins A, B6, C (bananas, almonds, carrots, lentils, citrus fruit). 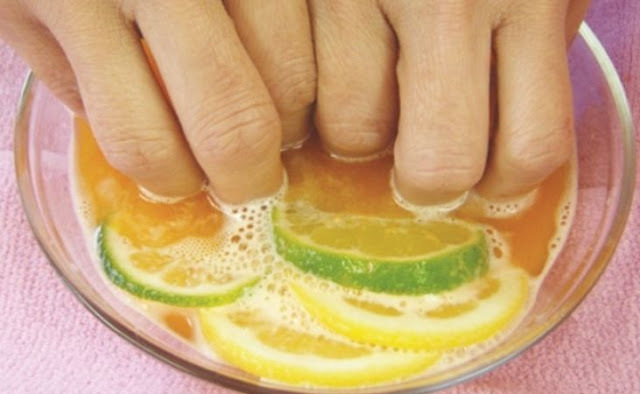 A simple natural treatment for nail regeneration is the mixture of two tablespoons of extra-virgin olive oil 5-6 drops of vitamin A and juice from half a lemon. The 3 ingredients are put on fire, heated and then dipped into this mix the liquid nails and leave until cool. This treatment is repeated every night for 2 weeks. For regeneration, cleaning, and stabilization is recommended gentle massaging for 5 minutes with baking soda mixed with lemon juice. Delay effects will not occur. Another step that you have to do if you want to have some beautiful nails is to change your diet. The food we eat plays a very important for the health of your nails. Because nails are made of protein they need to look good. You need to eat foods that are rich in vitamin C, vitamin E, calcium, iron, zinc, silicon and foods that are high in protein. Also, calcium is also important for healthy nails. Eat green leafy vegetables, dairy products or sesame seeds. To have beautiful nails recommend you always care for them, not just when problems arise. Better to prevent than to fight, this is true for peeling nails. Because groomed hands, besides having a pleasant appearance, also indicates a lifestyle and a healthy body.